Now that the cat's out of the bag and we know that Hank Henshaw is the big bad of our arc, maybe now we can get to the actual story because leading up to this point......... Well, I was bored as hell. 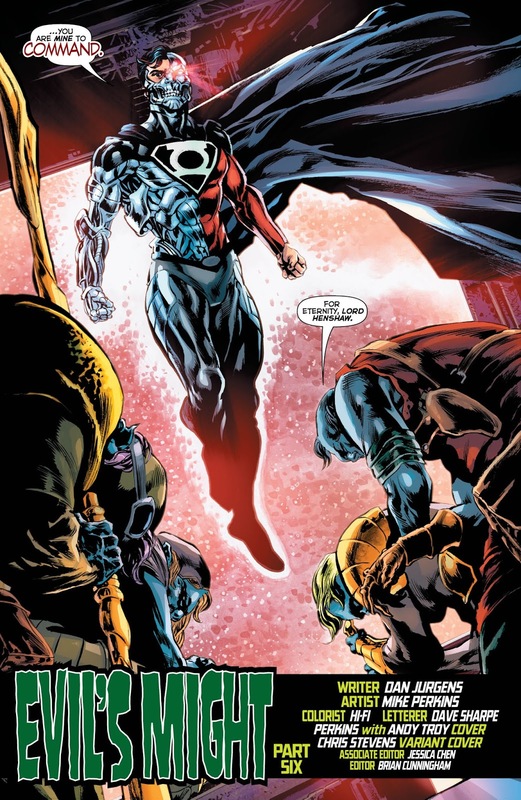 Penelops dying and his planet being mined for minerals, while an energy based dude named Eon with no back story beat the hell out of our heroes wasn't the roller coaster ride of emotions that Dan Jurgens may have thought it was. Anyway, let's jump back into this story and see if thing pick up. Let's check it out. For this issue we definitely see the stakes increase because not only does everything come around, where we see that all of our villains of this arc are connected, but we finally get back to Mogo to check in on that whole "storm thing" that we had going on previously, but just kind of forgot about as the arc progressed. 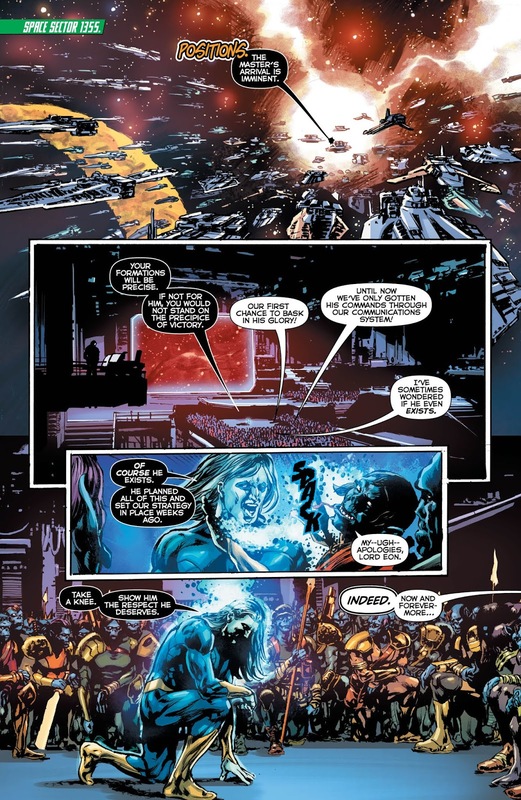 It's scenes like this though and the brief moment where we had to deal with Jessica's personal satisfaction over helping the people of Penelo that makes this issue feel a bit disjointed for what it's trying to convey because it doesn't do much and nothing in the long run is really explained more than Hank Henshaw just saying that he can take over technology and with that........ we move on. 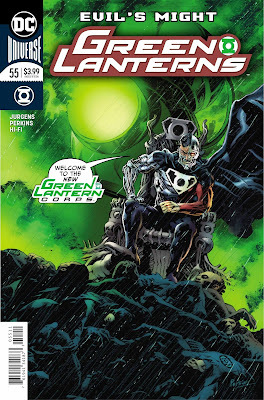 The characters feel odd in this issue, while the idea of anyone who's charged their ring recently comes off forced to just get Hal to be the one Lantern left with limited power to save the day, while not even touching on Simon at all here, which was a bit disappointing. Even more disappointing is the depiction of Hank Henshaw here, who uses the Phantom Ring differently than it was originally depicted, while also doing things that don't make sense for him or anything with the Green Lanterns. It's all for the showdown and while we get some cool scenes with evil overcoming good, it feel really forced to get there. All in all, while I think that this issue is probably one of the better ones in this arc, it still takes some liberties to get where it needs to be and makes the characters of this book come off odd in the process. The art which I usually enjoy in this book comes off like a mixed bag because while there are some really cool scenes in this book, some are hard to decipher because of how they were rendered and I was left just scratching my head at what was supposed to be going on. 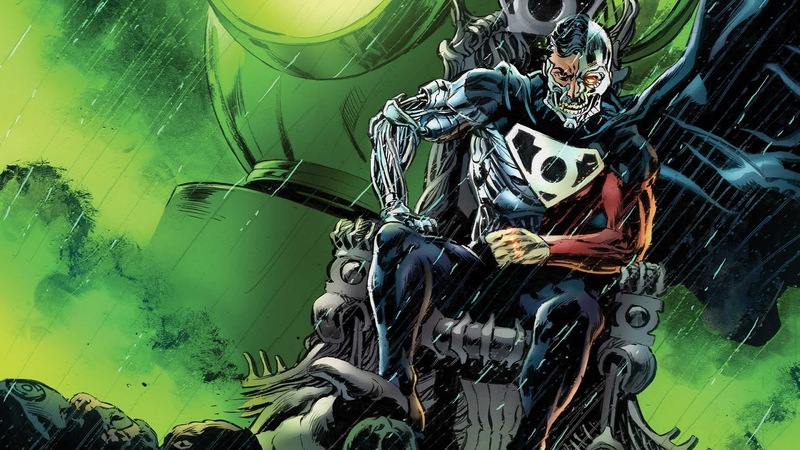 While you'll get a decent dose of action in this issue, it comes at the cost of things being forced and characters and things acting against how they usually act. If that's something you can deal with then I'm sure you'll like this issue....... 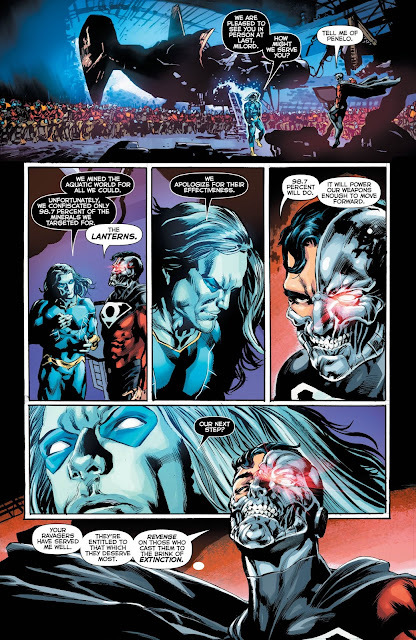 It is probably the best we've gotten in Jurgens' run so far, but I'm still looking for a bit more out of this arc....... like for everything to make sense.